This mandatory guide has been updated. Agents must give this guide to the seller before they enter into a contract with them to sell their residential property in NSW. 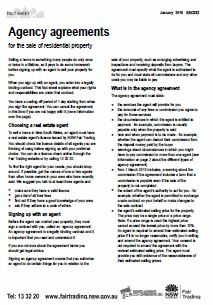 If agents use the February 2015 version of this guide, they must also give the seller the Addendum to Agency agreements.